Sorry, Thailand is huge and we don't cover this area at the moment. But get in touch with us, and we will customize a tour just for you. The Highlights of Nong Khai: A Day Trip You Shouldn't Miss! 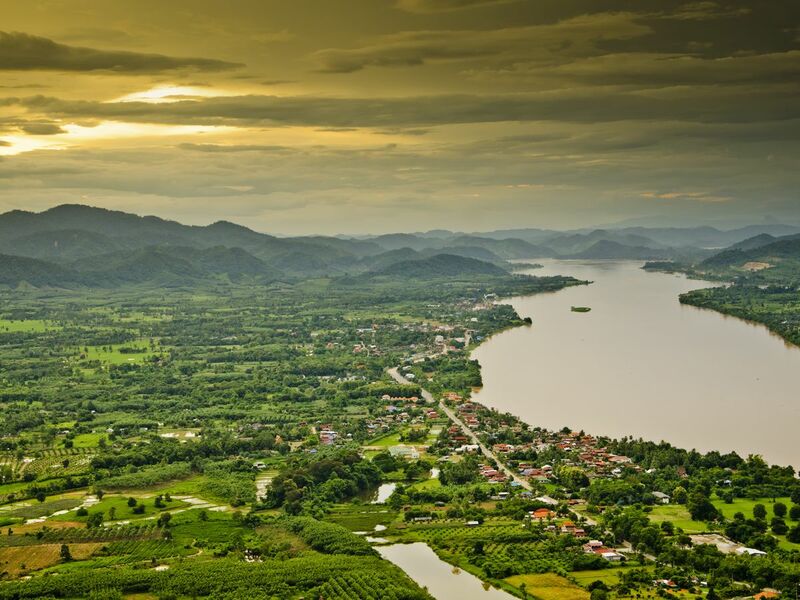 Snaking along the Mekong river in the upper part of North Eastern Thailand, Nong Khai is a perfect mixture of Thai, Lao and Vietnamese cultures. The quirky town is perfect both as a pit stop between Thailand and Laos, and as a soulful destination to slow down and take in the quaint Isaan beauty. Find out local-recommended places to visit in Nong Khai here. Although Wat Khaek means Hindu Temple in Thai, the must-visit place’s claim to fame is its 208 statues of gods, goddesses and mythical creatures from Chinese Buddhist, Christian, Hindu as well as Isaan fables. A handful of these spectacular sculptures are as colossal as a 3-story tower. 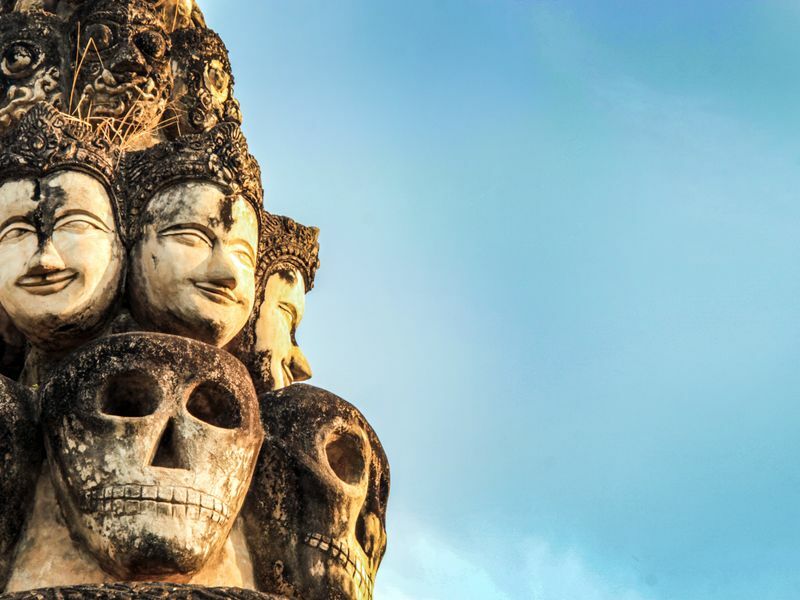 We recommend going there with a local, so you can learn about the local stories behind the 7-headed Naga shielding over the Buddha and the ginormous 10-armed Hindu goddess. 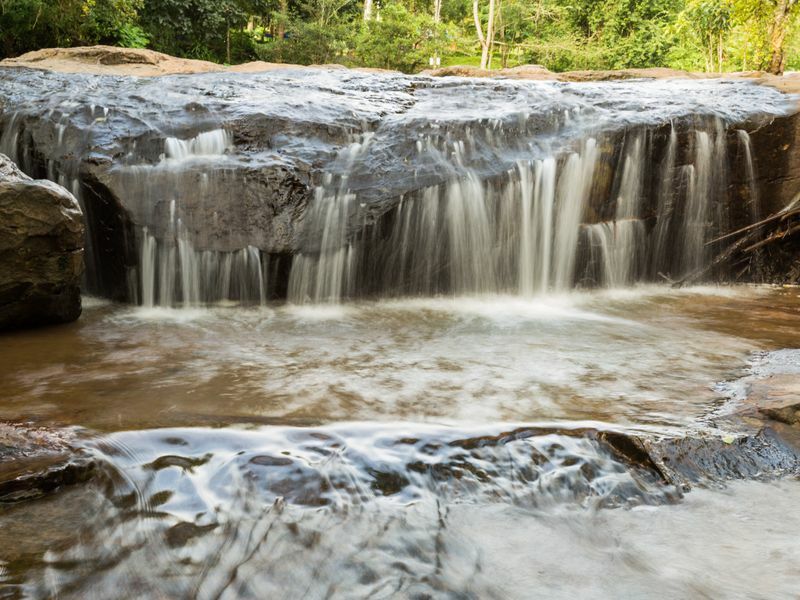 One of Nong Khai’s prettiest natural wonders, Than Thong Waterfall glides along several tiers of stones. On a 30-metre cliff, the tide goes straight down to the Mekong. You will be able to go in for a refreshing dip in the natural basin between June - October. Besides the vista, Than Thong waterfall is where the locals come up to sell their fresh produce or freshly-cooked Isaan dishes at very reasonable price. 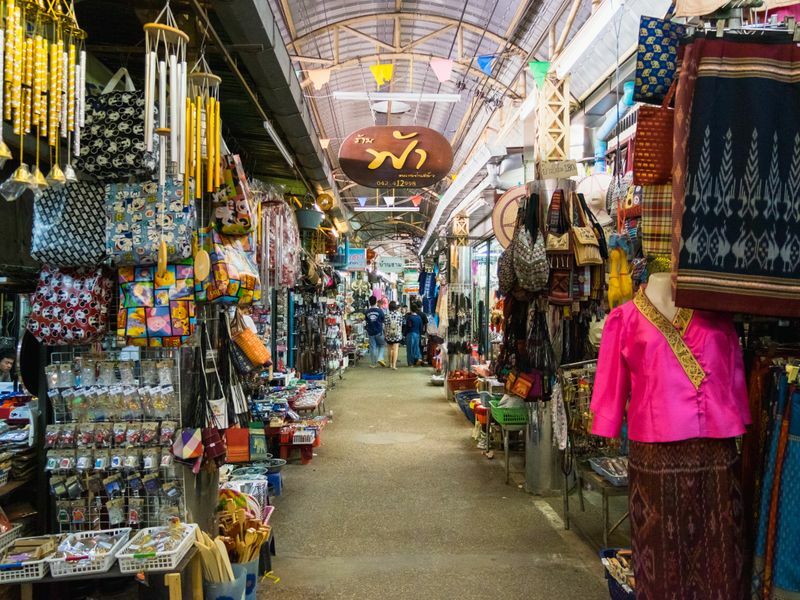 Although sometimes labeled as a major tourist trap because of its huge variety of goods from China, Tha Sadet Market is a great place to watch how the locals do their daily grocery shopping. The market also has some unique regional products, and of course, local produce. Locals also come here as Tha Sadet Market is a checkpoint to Laos, while travelers will have to cross the 1st Thai-Lao Friendship bridge to the other side of Southeast Asian paradise - Laos. 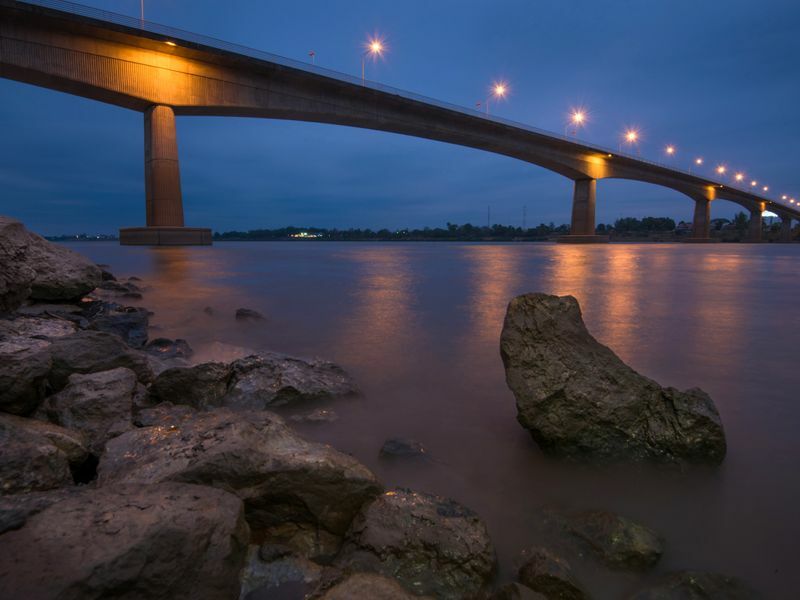 The first Thai-Lao Friendship Bridge is the checkpoint for travelers to Vientiane, Laos. If you aren’t ready to leave Nong Khai yet, the bridge is still among the best spots to chase the last light of the day. There is nothing quite like witnessing the sun and its dancing reflections on the water going down over the Mekong. Although not as fancy as Bangkok’s Ocean World, Nong Khai aquarium is definitely unique and worth a visit. Isaan’s biggest aquarium, the place also focuses on the water animals that call Mekong River home. Kids will very likely enjoy strolling right under the 10-metre glass tunnel while gazing up and around at all the majestic beings swimming right beside them. Not exactly what you're looking for? Check out our huge selection of top-rated private 1-day tours in other Northeastern cities.